As the website has been up for some time now, a couple of weeks actually, I’ve been starting to get more and more questions from you, my audience. I love it, keep em coming. One question in particular gets repeated over and over again so I thought that it would be a good idea to answer it for you guys and galls. That question is what kind of tool is a must have for custom polishing jobs? Answer is to that question is complicated, at least from the perspective of a seasoned polisher like myself. 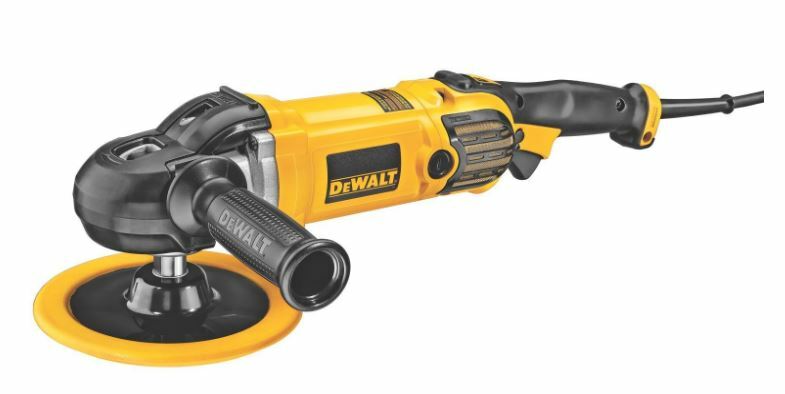 But to keep things simple, from the perspective of a newcomer to the trade or someone who only has several pieces of metal that wants to polish in a DIY project at home, the tool that I recommend is an electric metal polishing tool, like the DEWALT DWP849X. DEWALT is a company that produces reliable equipment and has great customer service. DWP849X is a variable speed polisher with soft start. It’s a must have tool for any wannabe polisher. What kind of extensions you’ll need depends on what kind of job you’re working on. We’ll keep that part of the equation for some other article. For the time being, let’s just leave you with the info that to get in the world of metal polishing as a newbie, the best tool that you can get your hands on is an electric variable speed polisher. Without it you won’t be doing much polishing. What is the difference between polishing and buffing?